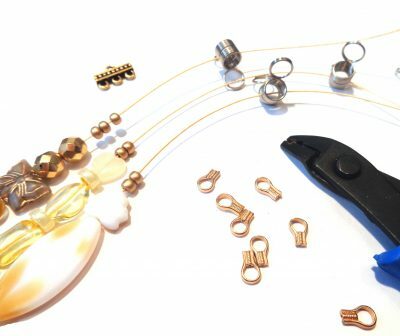 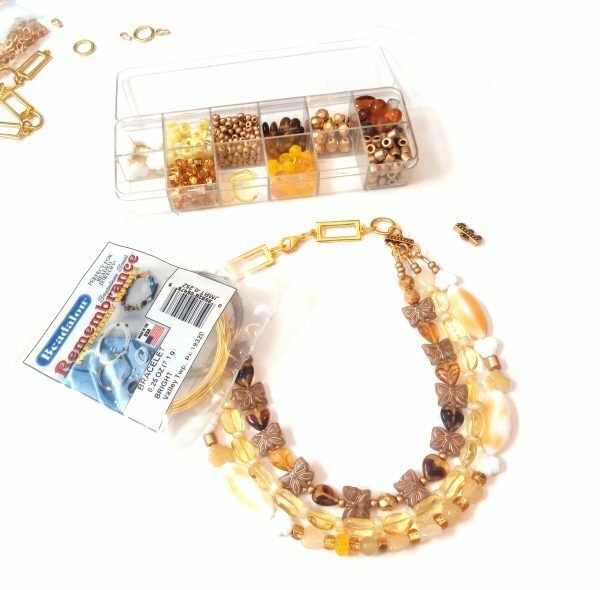 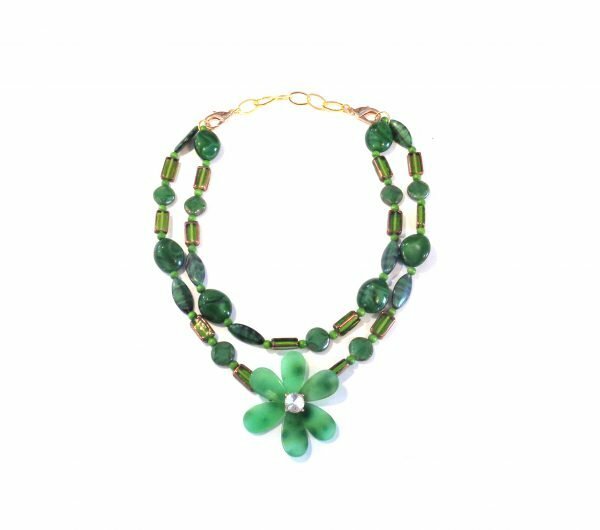 There are moments when you shop for beads when you come across components that you instantly know will create a spectacular piece of jewelry. 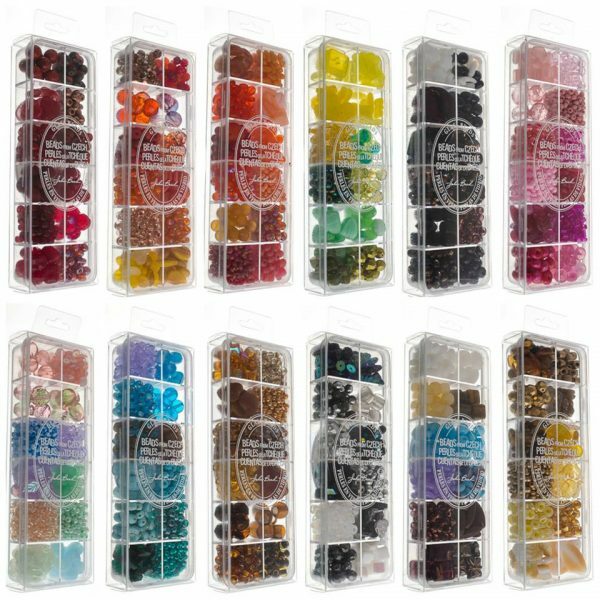 That was my reaction to the launch of our company’s twelve limited edition bead mixes. 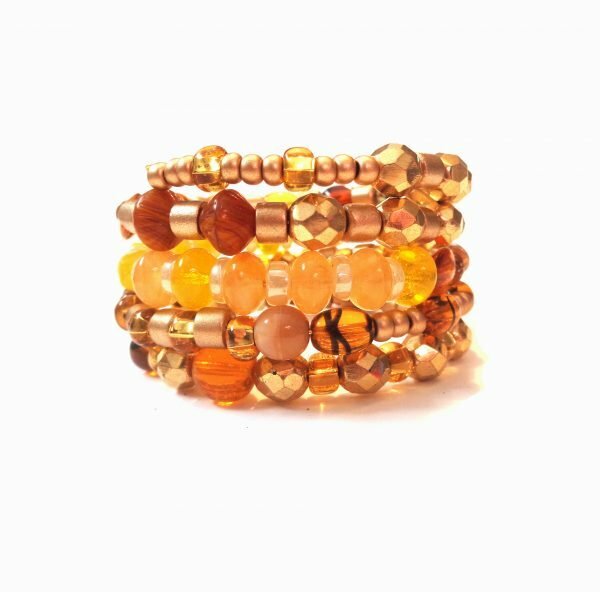 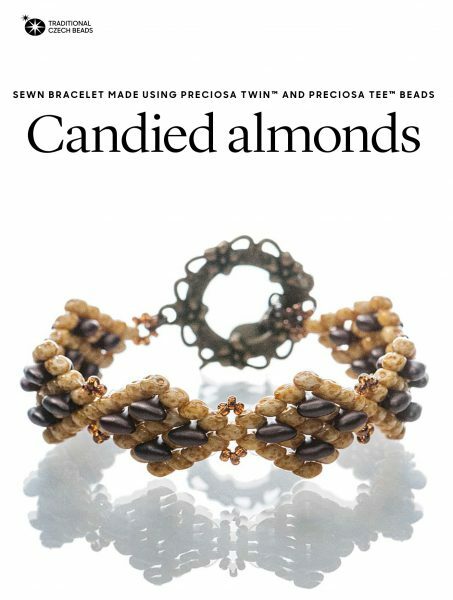 These bead mixes are unique because each collection was hand picked by our company Creative Director, Fernando DaSilva. 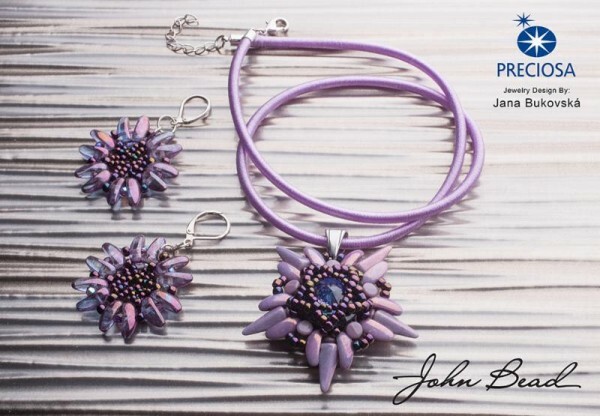 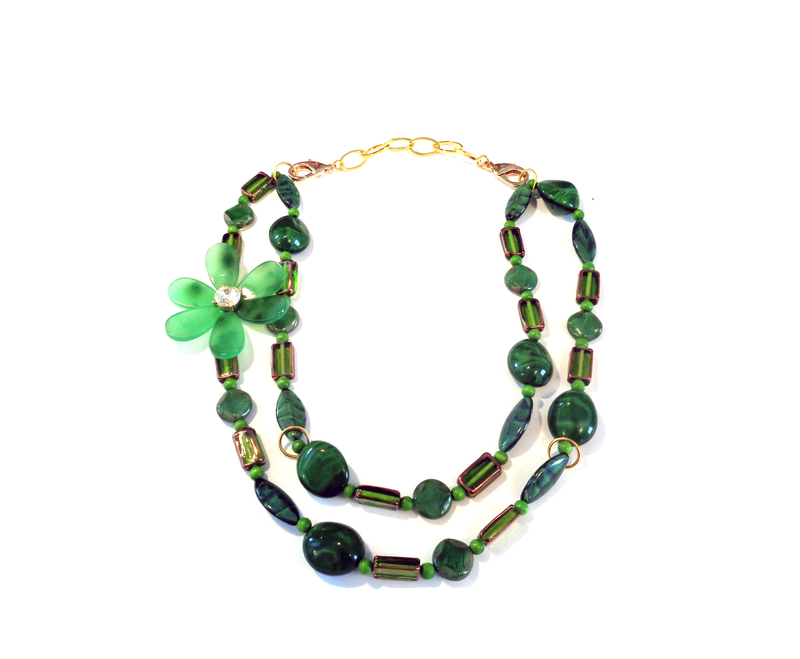 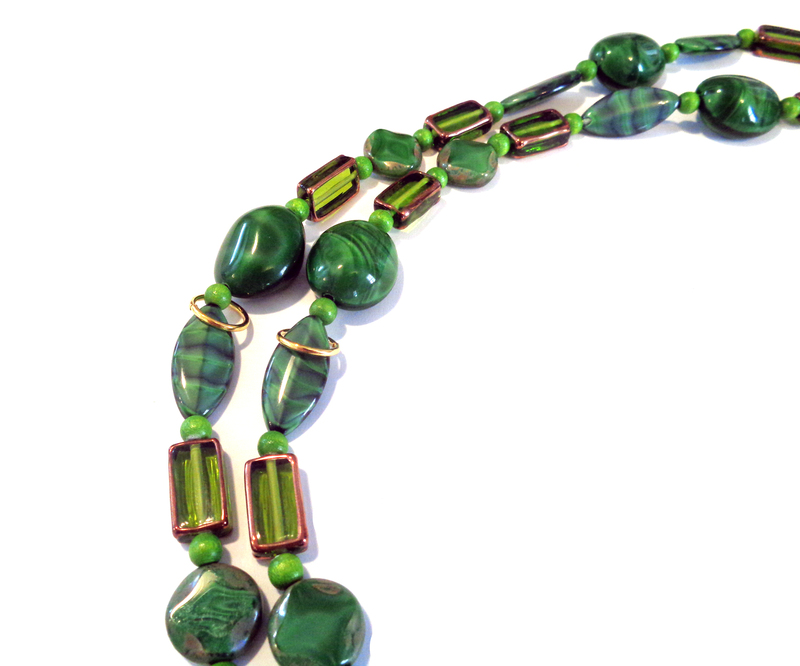 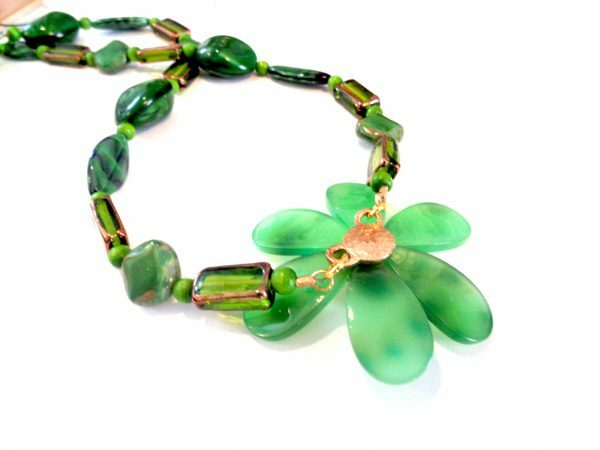 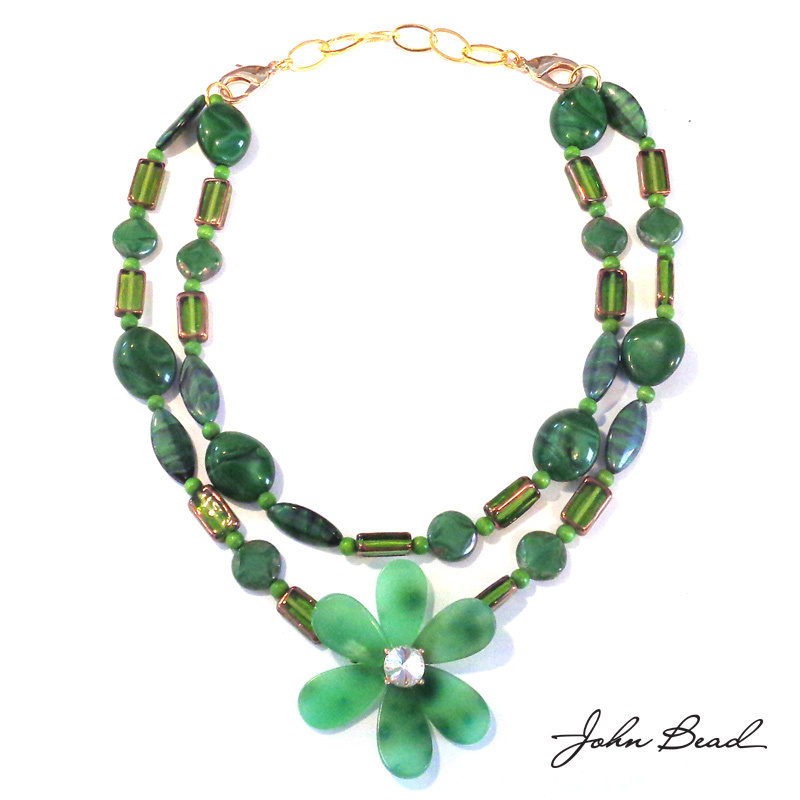 The John Bead Company is over 60 years old and has been importing Czech glass since the 1950s. 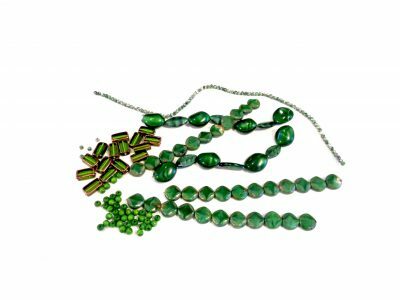 Over these last decades, our warehouse has stockpiled some stunning firepolished and pressed glass beads that we are just now unpacking and reviewing. Some of the beads are vintage and many will never be manufactured again. 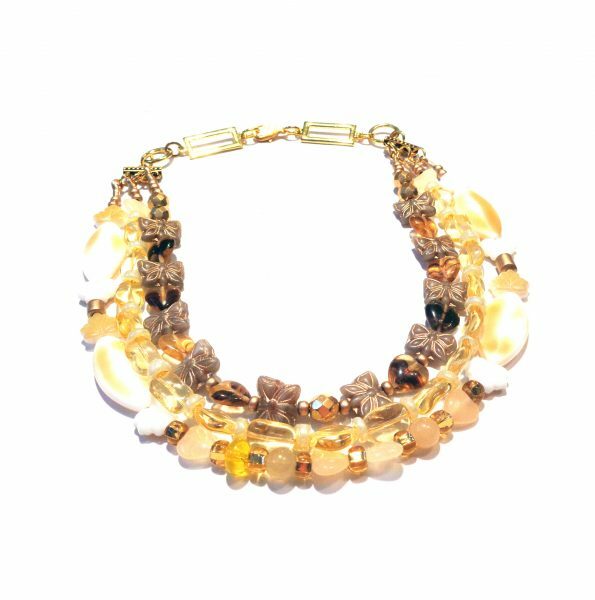 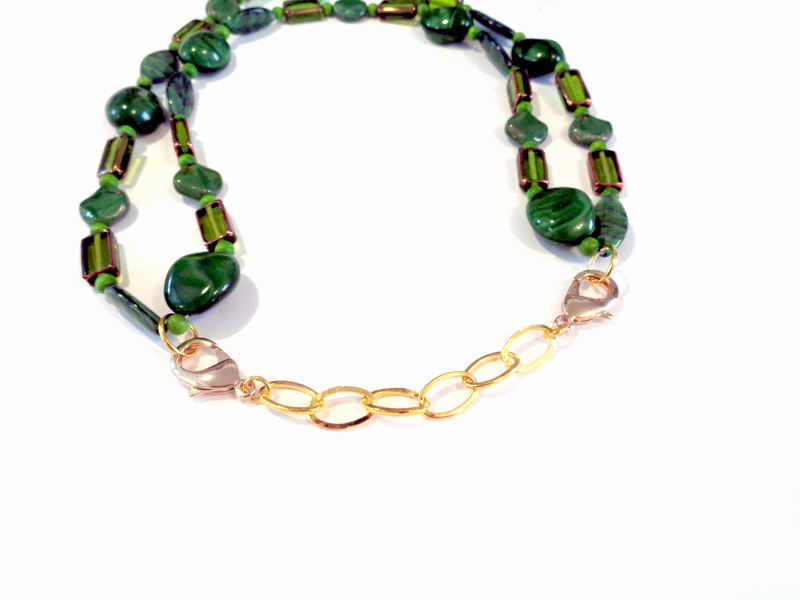 Each bead mix has a blended color palette and for my choker I selected the Gold Gravel collection. 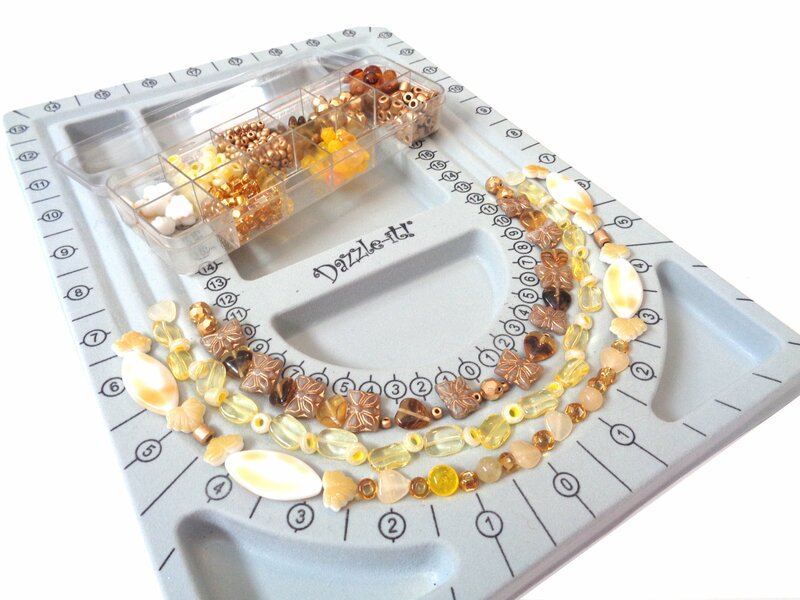 I wanted to create a tiered choker, so a beading board was my best option to get my strand lengths correct. 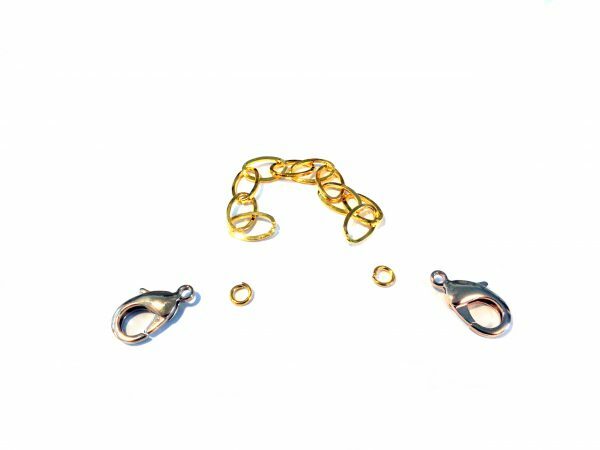 The options for my choker were limitless. 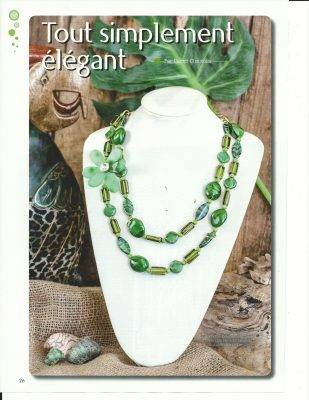 The strands I designed featured some of the unique pressed glass pieces that deserved to be highlighted. 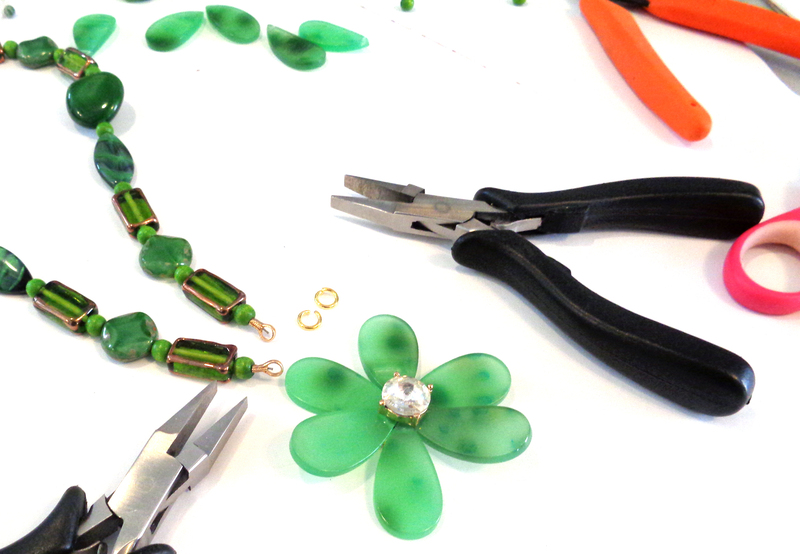 I then strung each strand with wire and used crimps and a crimping tool from Beadalon to secure my beads. I attached each strand to a flat bar for spacing and then added a few links and a clasp to make my choker comfortable to wear. 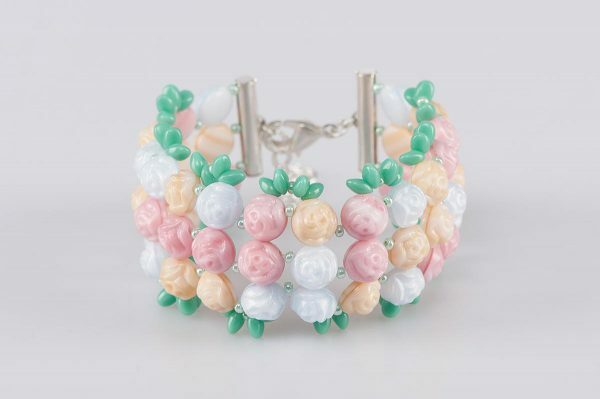 With my choker complete I knew I would love a matching bracelet. Gold memory wire was all needed to string this golden cuff. 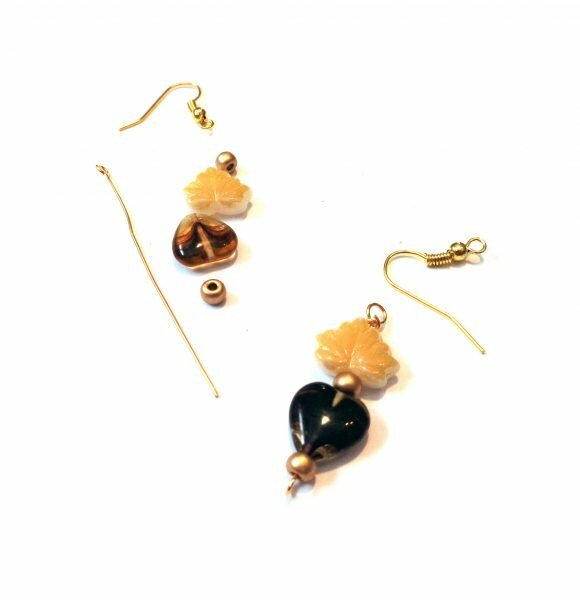 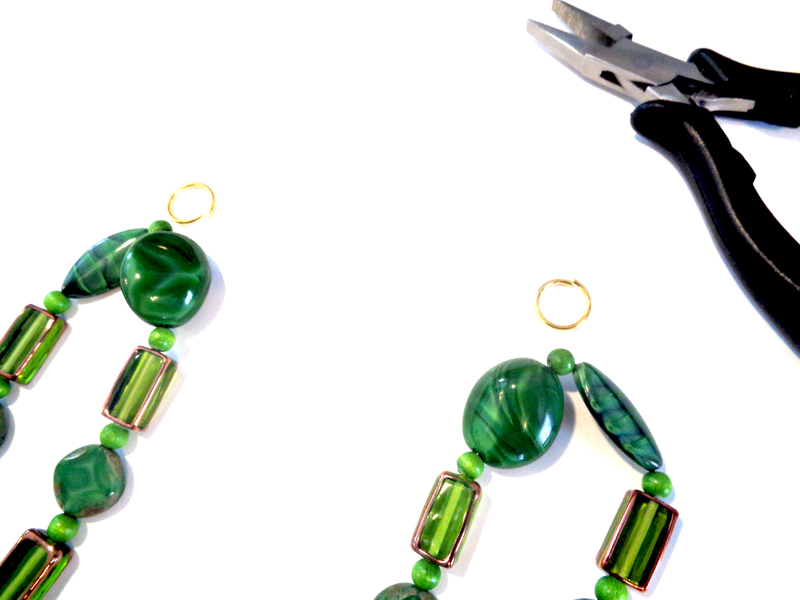 Of course, it also made sense to create earrings to match! 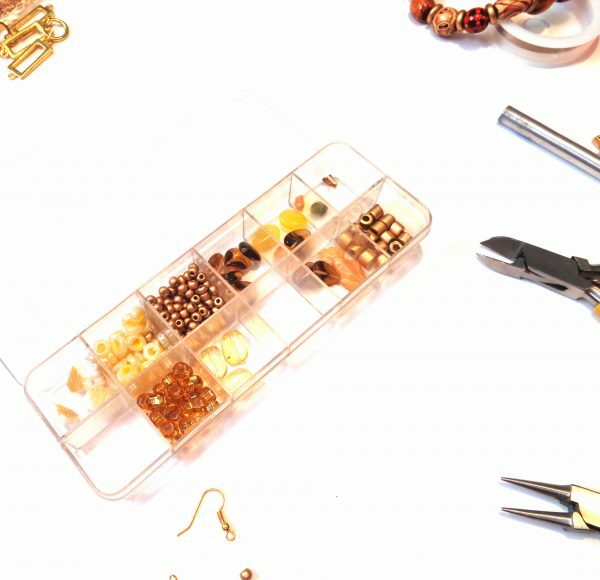 My new set of golden jewelry is complete and my bead mix box still seems to be half full! 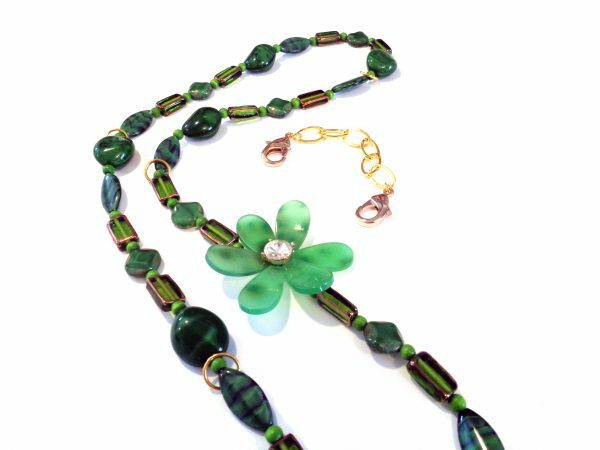 Working with a pre-selected collection of beads allowed me to focus on my projects and I was not distracted searching through my own stash for beads that would be compatible. 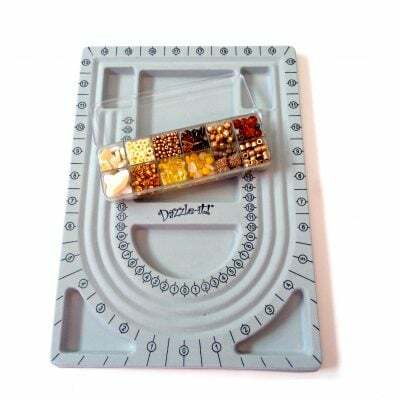 Now I want to make something with the eleven other bead mixes that Fernando DaSilva selected! 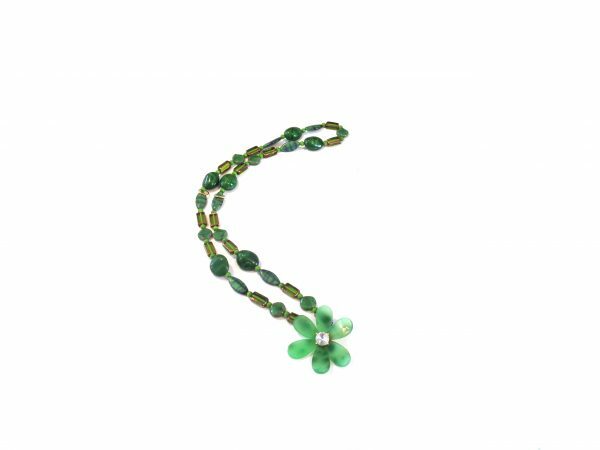 Our latest bead is now in stock. 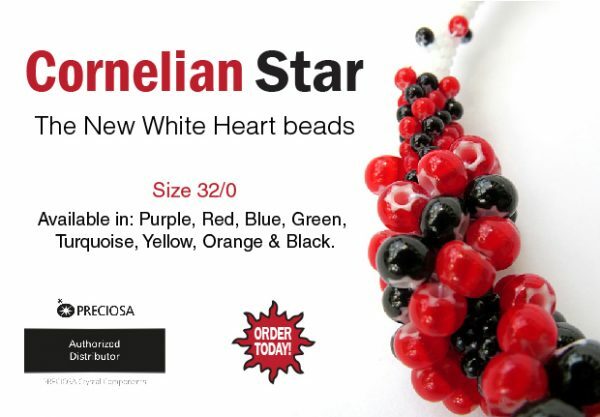 The PRECIOSA Cornelian Star can be used in the same way as a regular rocaille. 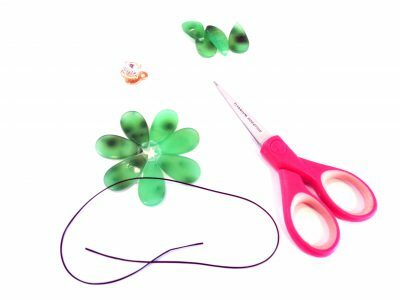 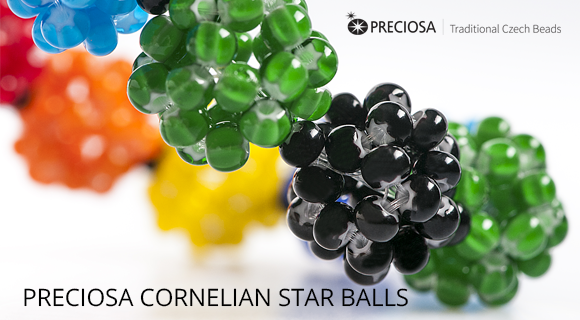 Here, we offer a relatively simple tutorial for jewelry made from simple PRECIOSA Cornelian Star balls. 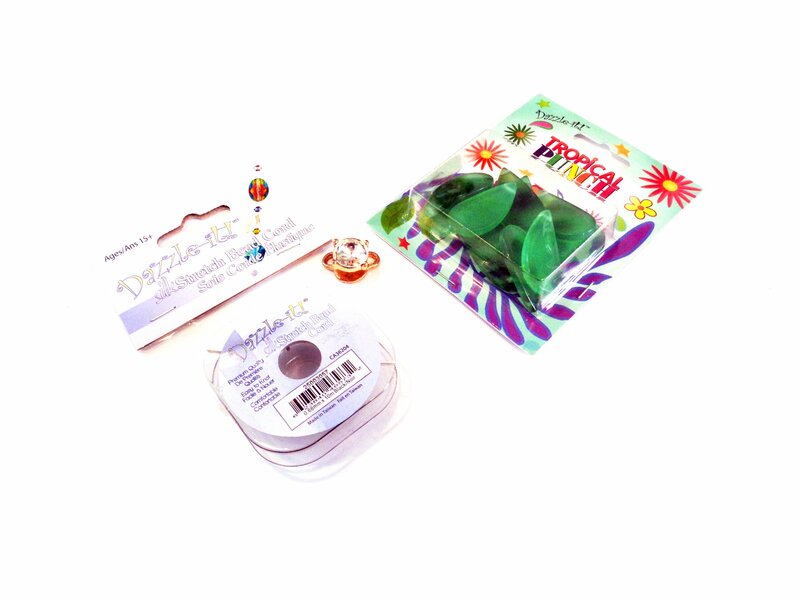 PDF to make these star balls linked here. 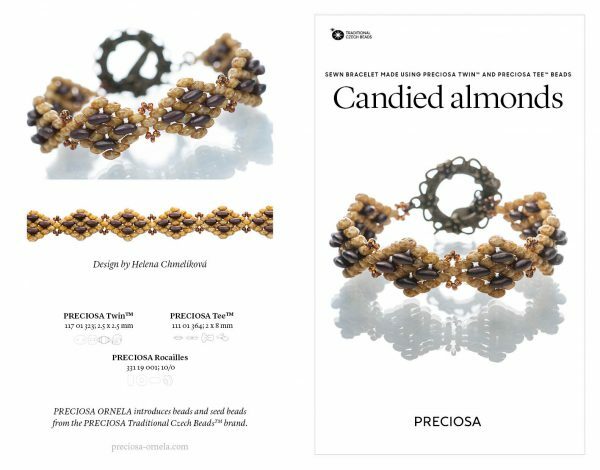 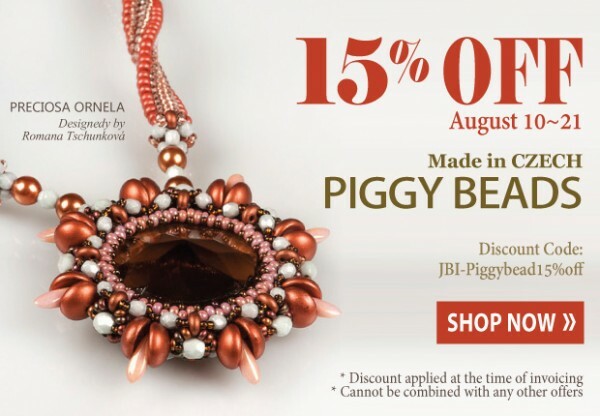 We are so please to announce a brand new bead from Preciosa! 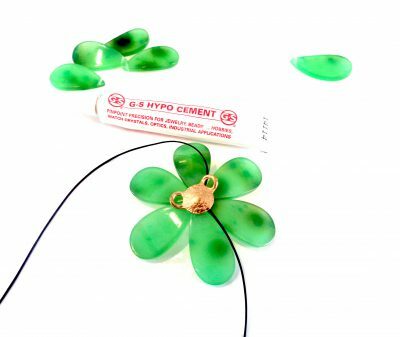 The Chilli (TM) bead will have designers thinking of new and exciting ways to incorporate this shape into new and current designs. We’ll be showing you several fabulous projects featuring the new bead here on the blog. 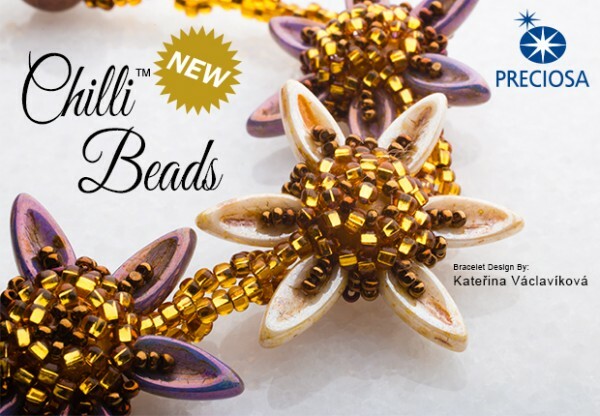 Author Carmi CimicataPosted on October 1, 2015 September 30, 2015 Categories Preciosa Chilli Bead, Preciosa Traditional Czech BeadsLeave a comment on The Chilli Bead!